Robert Mills, “Robert Mills,” Histories of the National Mall, accessed April 23, 2019, http://mallhistory.org/items/show/114. Robert Mills, an architect from South Carolina, won the competition to design the Washington Monument in 1836. Although construction began under his supervision, work stopped in 1854, a year before he died, and the monument was not completed for another thirty years. Mills was also the architect of other prominent Washington buildings, including the central and eastern wings of the Treasury Department building. Library of Congress Prints and Photographs Division. View original image. Robert Mills, one of the first American architects, was born in Charleston, South Carolina at the tail end of the American Revolutionary War. In 1800, he began working with James Hoban, architect for the first White House in Washington, DC. During this initial visit to Washington, Mills likely met then-President Thomas Jefferson, who was also an amateur architecture. By 1804, Mills had moved to Philadelphia, one of the largest cities in the nation, where he worked for and studied under Benjamin Henry Latrobe. In 1808, he married Eliza Barnwell Smith, with whom he had eight children. One of his first architectural designs was an 1807 proposal for a state penitentiary for South Carolina, sent in response to a call for proposals. Although his design was not selected, he was able to scale it down and implement in as a jail in Mount Holly, New Jersey. Over the next seven years, Mills designed a number of jails, row houses, state office buildings, and even a museum in the Philadelphia area. 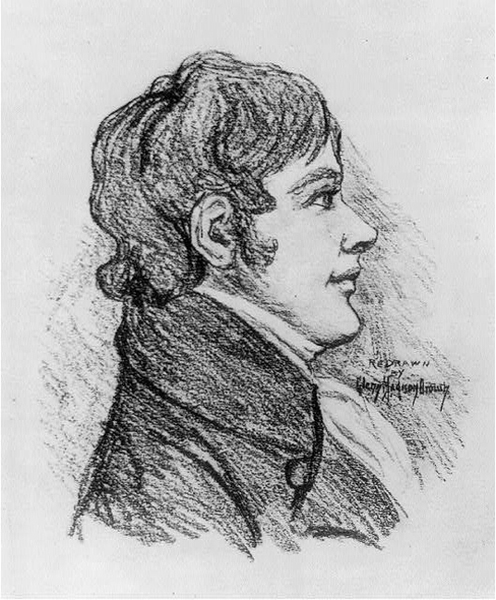 In 1814, Mills moved to Washington, DC, possibly because he was receiving more commissions in the region. He designed the Baltimore Washington Monument, the first in the nation to be completed. In 1820, he returned to South Carolina, where he worked designing buildings for the state as well as helping with railroad development. He continued to work on institutional design like jails and insane asylums, trying to find ways that the architecture could aid the inmates’ return to society. By the mid 1830s, Mills was back in Washington, working on buildings for the Federal Government, including the Patent Office Building and the General Post Office. When the Washington National Monument Society announced a design contest for the memorial in 1836, Mills was among those who entered. His design, which originally included a series of columns around the obelisk, won the competition. He died in 1855, only a year after construction halted on the monument due to lack of funds.